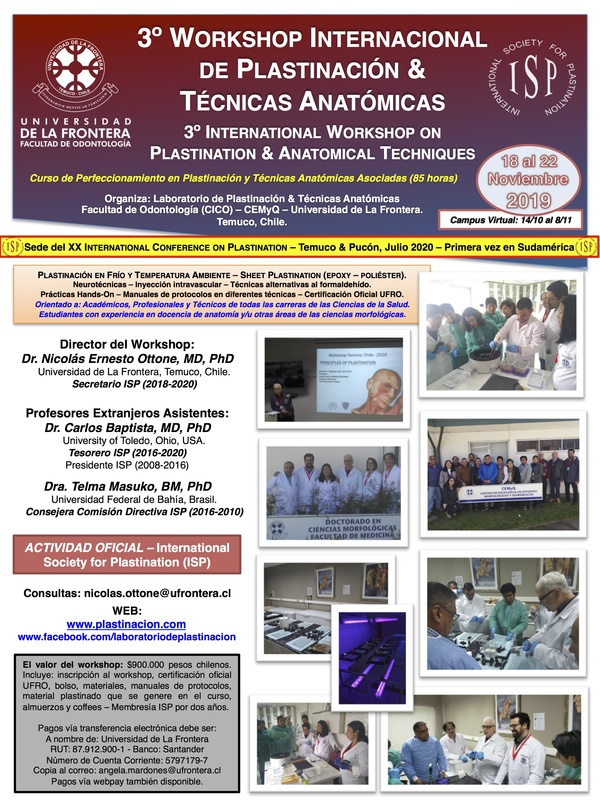 The 3rd International Plastination Workshop and Anatomical Techniques will be held in Temuco, Chile from November 18 to 22, 2019. The Workshop director is Dr. Nicolas Ottone from Universidad de La Frontera. © 2019 The International Society For Plastination.